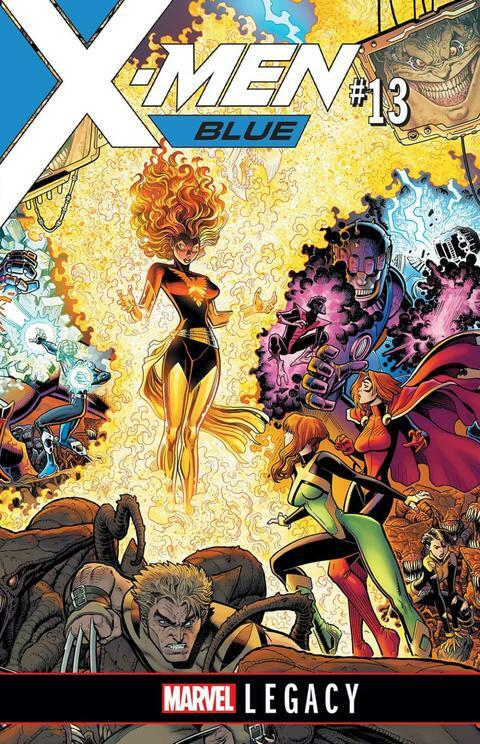 Cullen Bunn on the upcoming crossover with X-MEN: GOLD. With X-MEN: BLUE #13, out October 11, the book enters into not only a saga-riffic crossover with X-MEN: GOLD, but also into the Marvel Legacy event. How will it all impact this team of merry mutants? How do they win against mighty Mojo and uphold their legacy? We asked writer Cullen Bunn to spill all—and still look good doing it. Marvel.com: Cullen, in a way, X-MEN: BLUE’s legacy stretches from Stan and Jack to Brian Bendis—what does legacy in general mean to you as a Marvel writer? How does it play into what you do? Cullen Bunn: For me, legacy is a part of every Marvel comic I ever loved, every Marvel comic I’ve written, and every Marvel comic I will write. And it goes beyond the idea of a “shared universe” or continuity, although those elements are certainly part of it. As a writer, I always try to honor the legacy of the creators who came before me, and I’m always hoping to contribute in some small way to the stories that will be told in the future. This story, for instance, is an obvious love letter to all things X-related, but we’re telling the story through the eyes of the mutant heroes who star in the books today. We’ll have the action, the interaction, the romance, the heartbreak, the joy, the weirdness—all the things that make the X-Men one of the best superhero dramas of all time! And we’ll leave some lasting marks on the characters and the Marvel Universe. Marvel.com: Within the book itself, what if anything does legacy mean to your cast? How much of what they do is impacted by it? Cullen Bunn: In this crossover story, we see the idea of legacy playing out in some really interesting ways. The original five X-Men are here, and they started it all for the X-Men, but since they are young men and women lost in time, they are looking toward living up to the legacy of the modern X-Men. The modern X-Men are living up to Xavier’s ideals and dreams—and the O5 represent that to them. But we’re also dealing with Mojo in this story, and he is in a unique position to really throw the X-Men into situations that remind them—sometimes in a deadly way—of where they came from. 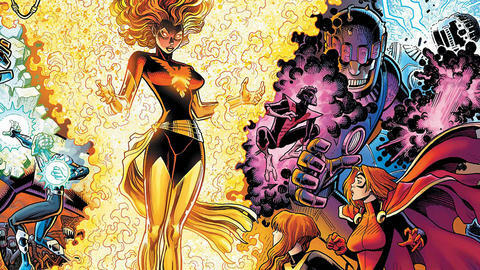 The X-Men will be reliving some of their greatest hits, only with a Mojo twist. Marvel.com: Hang onto that Mojo guy for a Mojo-ment—who if anyone do you feel of your leads might get more focus going forward? Has any one of them been underserved, in your opinion? Cullen Bunn: There are a couple of characters who haven’t gotten the spotlight they deserve, namely Angel and Iceman, and I have plans for bigger stories for them in the future. There are also some really insane plans in place for Jimmy Hudson. Eventually, he’s going to be getting a code name, but I think it’ll surprise everyone how that comes about. It’s not what you’re expecting. I promise. Marvel.com: X-MEN: GOLD #13 starts this story—what is the Blue Team’s relationship like right now with the Gold Team? How do they work best together? What about in the worst way? Cullen Bunn: The relationship between Blue and Gold starts off on pretty good terms in this story. Once the trouble starts, they even break into teams that are a mixture of Blue and Gold members, giving us some wonderful opportunities to see interactions we might not normally expect. But the Blue team has a big secret–that they are working with Magneto, and that’s not going to sit well with the Gold team at all if they find out. Marvel.com: Okay, now Mojo. What’s up with Mojo? What level of trouble will be causing the teams? Cullen Bunn: Mojo is a villain I’ve wanted to use for a long while. Heck, I hinted at this story back in my UNCANNY X-MEN run. The thing with Mojo is, in the past he’s always been confined to this alternate reality. Some readers think that makes him unimportant. Well, this time, Mojo is coming to our world, and he has big, evil plans for us. He’s going to turn our love of media against us. Believe me, when this is over, Mojo will have left his mark on the planet Earth. Marvel.com: How does a villain like Mojo bring out comic book, heh, gold in terms of two teams of X-Men interacting to fight him? Cullen Bunn: What’s fun about this story is that Mojo has these almost god-like abilities, and he uses them to make TV shows. In this case, though, he’s calling up some of the most intense moments of X-Men history, and we’re going to see some awesome scenes honoring the legacy of the X-Men. How does Scott Summers deal with Days of Future Past? How does Storm feel about being thrown into the Asgardian Wars again? How would Magneto react if he suddenly appeared in the Morlock Tunnels during the Mutant Massacre? Marvel.com: Fun! So, what’s it like to continue to collaborate with artist Jorge Molina? How is this particular storyline bringing out his strengths? Cullen Bunn: Jorge is a beast! He’s simply an amazing artist, and I am throwing some wild action scenes and bizarre set pieces and characters his way. He has tackled it all with a Mojo-like glee. These pages are going to blow readers away!